Splitting up a family is one of the hardest things to do, but sometimes divorce is the most necessary of life events. At the family law firm of Leonard M. Roth, Attorney at Law, located in Houston, Texas, I work with my clients to help them through the difficult process, providing the tools for my clients to build a better future. Based on today's statistics, one out of every two marriages ends in divorce. The frequency in which these tumultuous life events occur, however, does not make it any less emotionally draining and stressful to work through. I am Leonard M. Roth, Attorney at Law, and I have 43 years of experience navigating families through divorce and the many complicated intricacies that follow. While it is my job to smooth over the rough edges of the process, and bring the case to a successful conclusion, I cannot remove all of the pain and hurt you may experience in the process. Aside from emotional fatigue, a high level of confusion and anxiety usually accompanies my clients as they enter my office. The power of knowledge in family law is the key to my clients' well-being and success in the process. Facing the reality of your situation will engage and hasten the healing process. I am determined to reach a settlement with my clients, one on which both parties can agree, so that you can focus on building your new life. Of course, there are times when settlement is not proper resolution of a case or settlement cannot be accomplished and litigation is required. As a Board Certified Family Law Specialist, I am well prepared to handle whatever comes. 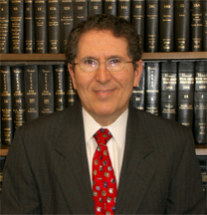 To learn more about my Houston firm, Leonard M. Roth, Attorney at Law, call 713-965-7608. The process of ending a marriage is often the most difficult, frustrating, and confusing time a family can go through. My goal is to get you through this very difficult time. My primary objective in all child custody matters is to preserve as much of the prior family relationship as is possible, being ever mindful of the best interests of the children. In order to protect my clients' financial and legal interests, I work closely with CPAs, forensic accountants and business valuators in addressing the often complex issues that arise in high asset divorce cases. Collaborative law is a process that allows the parties in a family law dispute to resolve their case outside of the courthouse without the trauma and cost associated with the adversarial system. In Texas, the characterization of property as "separate" or "community? can be a battleground between divorcing spouses.